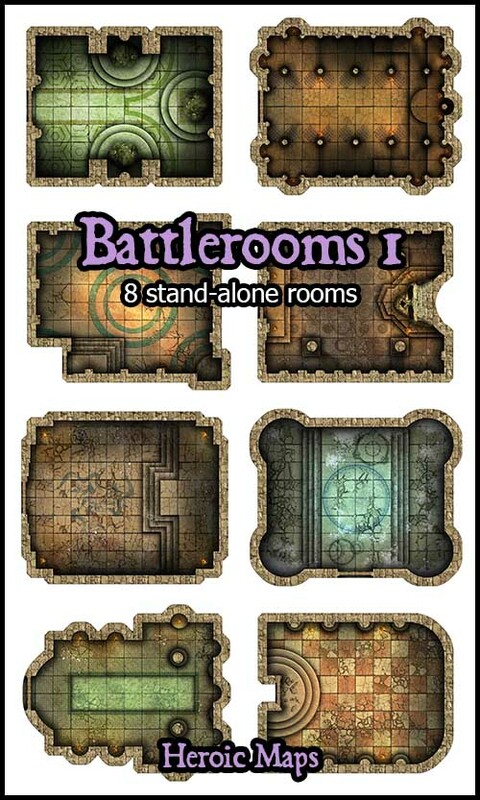 Explorer: Battlerooms is a set of printable battlemaps compatible with any RPG/Dungeon-Crawl game. Explorer: Battlerooms 1 is a standalone set, comprising 8 10x12 battlemaps. Each tile depicts a different and unique room, idea for quick encounters when your party is exploring a dungeon, fighting an encounter or in the showdown with a boss!. Dwarven Hall: A hall in warm yellow stone, carved with Dwarven symbols. Ice Magic: A cool chamber with ice and magic symbols. Temple of the Three: A small temple with three statues watching over. 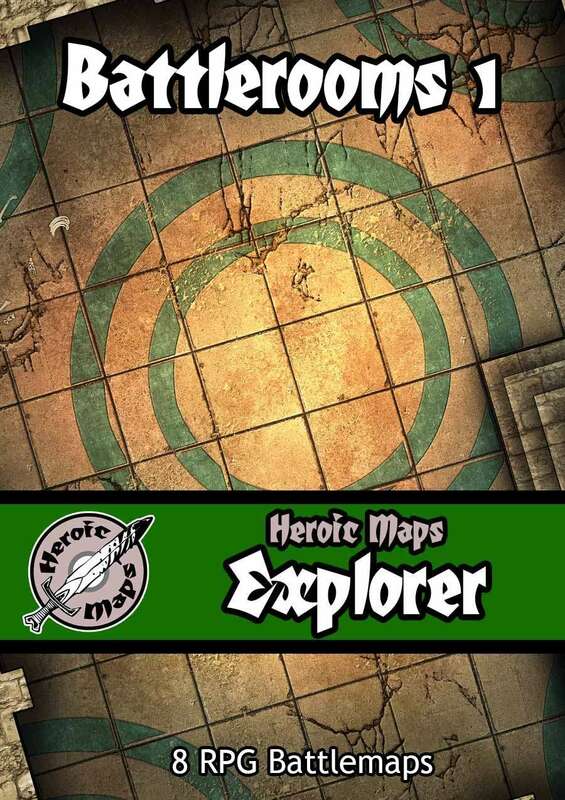 Explorer: Battlerooms 1 - 8 battlemaps, each 10 x 12, and can be printed at 28mm and 25mm scale.